UNISIG specializes in deep-hole drilling for manufacturers who need hole diameter and tube straightness to meet tolerances within just a few microns. UNISIG offers a full range of deep-hole drilling machine lines and serves industries including aircraft manufacturing, oil exploration equipment, and mold manufacturers. UNISIG makes machines that range from compact to massive 7-axis CNC machines capable of handling 25-ton workpieces. 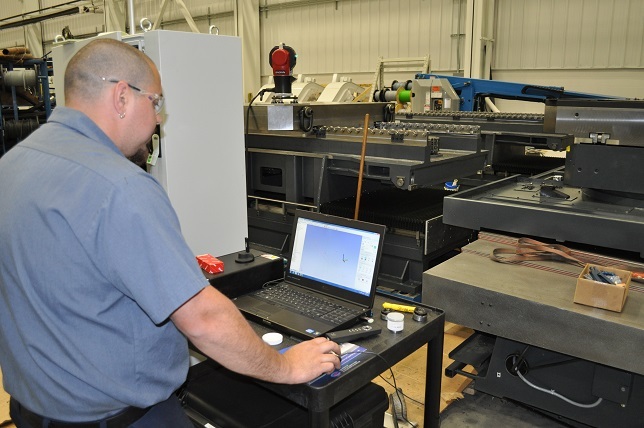 In order to meet customer demand for precision and reliability, UNISIG uses laser trackers from Automated Precision Inc. (API) and SpatialAnalyzer (SA) software to help build their machines and ensure product quality. UNISIG specializes in deep-hole drilling for manufacturers who need hole diameter and tube straightness to meet tolerances within just a few microns. UNISIG offers a full range of deep-hole drilling machine lines and serves industries including aircraft manufacturing, oil exploration equipment, and mold manufacturers. 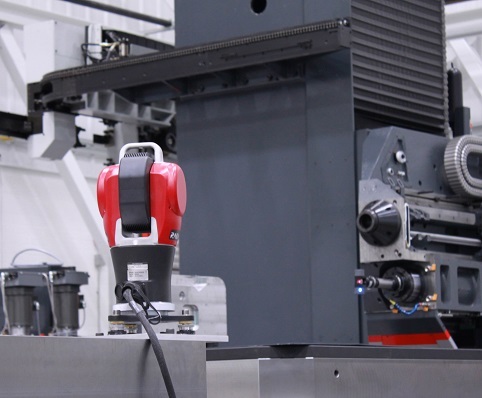 UNISIG makes machines that range from compact to massive 7-axis CNC machines capable of handling 25-ton workpieces. In order to meet customer demand for precision and reliability, UNISIG uses laser trackers from Automated Precision Inc. (API) and SpatialAnalyzer (SA) software to help build their machines and ensure product quality. To build machines that in some cases may be 100 feet long, UNISIG requires a measurement system that can accurately measure and map 3D points over a large area. UNISIG technicians use the API Radian with SA to measure and align their machinery, which in turn allows customers to produce extremely straight work pieces. A “deep hole” is considered one that has a ratio of depth to diameter of 20:1 or greater. While a typical twist-type drill found in a machine shop can handle ratios of 10:1, UNISIG machines can accurately drill holes greater than 200:1 while meeting strict tolerances. The Radian and SA ensure that the alignment and straightness of the machinery will meet or exceed UNISIG’s tight tolerances. The versatility and portability of an API laser tracker allows it to be mounted in hard-to-reach places or at an angle. At UNISIG, technicians often use the Radian and SA to measure 40-foot rails to one to two thousandths of an inch. Technicians must obtain the straightness, make sure the piece is parallel with an adjoining rail, and obtain the angular distance and squareness of the entire component. Since adopting API laser trackers and SA, this process has decreased from one to two days to one to two hours. Previous measurement methods were not only more time consuming, but far less reliable. UNISIG technicians must also ensure that the machine beds are straight and flat, which is a challenge given the length of the machines. Once the beds are straight, they began building components onto the machine, using SA to make sure they are square to the machine and parallel to the beds. Additionally, components with bores such as headstocks and pressure heads must be aligned to drill straight holes. SA ensures that these are straight, even when components are at opposite ends of a long machine. UNISIG technicians use SA software to take measurements with the Radian and Tracker 3. They also perform all subsequent analysis and reporting in SA. SA reporting options come in handy when technicians need the ability to quickly create and print real-time reports. In just a few clicks, the measurement data is available in a user-friendly form to deliver to the customer. In fact, UNISIG technicians include SA reports with their machine manuals so that customers have clear documentation of the correct installation of their drilling machine. UNISIG finds SA reports to be a clear and effective way to communicate this information with customers and anadditional way to instill confidence in their machines’ quality.